Nubia, in case you don’t know, was once a fully owned subsidiary of ZTE but later, the company reduced its stake to 49.9%. We all know ZTE is facing a lot of issues recently due to the ban on using Qualcomm chips. In fact, ZTE is ending the ‘major operational activities’ which doesn’t mean that the company is going to shut down, but things aren’t looking good as well. Anyways, Nubia is going to launch a new flagship device soon which will be a successor to the last year’s Nubia Z17. The company recently revealed a teaser of Nubia Z18, which revealed that it is coming with a Full Screen 3.0 design or a bezel-less design. Today, the hands-on image of the Nubia Z18 revealed the bezel-less design on the front and the source also revealed some of the features of the phone. So yes, the Z18 has a bezel-less design, and it seems like there is a notch on top for the front-facing camera. This notch is going to be a smaller one, like the one on the Essential phone. There are on-screen navigation buttons, and we think there is a fairly big bezel on the bottom, just like every latest phone with a notch design. The source revealed that Snapdragon 845 processor powers the smartphone and there is up to 8GB RAM. We are expecting a 256GB ROM model as well. The camera setup is better than the Nubia Z17s, and it has AI related features as well. The phone still has an LCD panel, but the rainbow pattern that a lot of Nubia Z17 users noticed on the side of the display has disappeared. This means the display is now perfect and visually better. 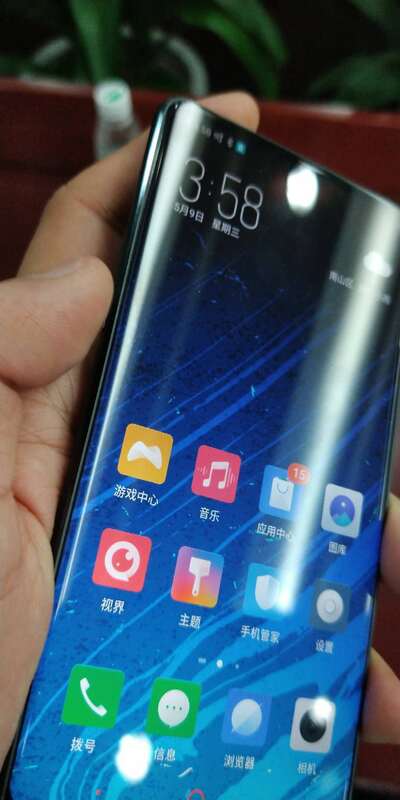 The source also hinted that the UI is fluid and the battery life is impressive. Well, there is no official word on the launch date of Nubia Z18 so stay tuned for more details.